Do you recall the scratch and smell stickers teachers used to give out during your primary school days? They were always the bee’s knees, with peers comparing different scented stickers at morning recess. 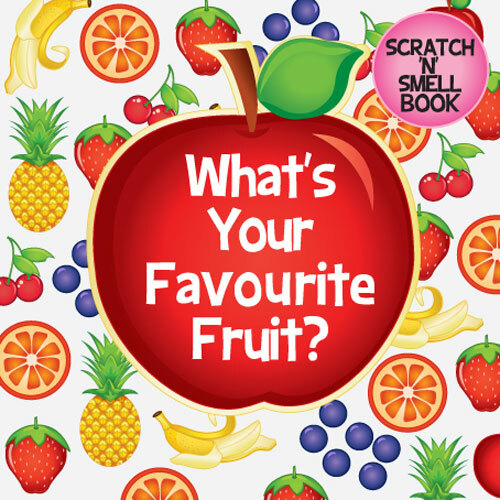 Imagine if you could have all that same fruity scented fun at home – and in a book no less! That’s right, the Scratch ‘n’ Smell Books from Smellies are two books filled with scented pages. Not to be outdone, they’ve made it so not just one part of the page smells of amazing fruit – the whole page smells! What’s Your Favourite Fruit is filled with fun fruit facts and watermelon, cherry, orange and pineapple scents, just to name a few. Our Summer Adventure is bound to be a hit with kids heading back to school after their very own summer holidays and who wouldn’t love to indulge in a story highlighted by popcorn, ocean and mint toothpaste smells?! Scratch ‘n’ Smell books are priced $12.95 each and are available directly from Smellies.